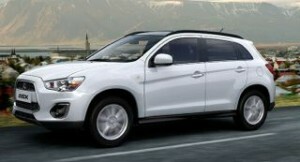 The Mitsubishi ASX, Active Sports Crossover, is a compact SUV that competes in what is quickly becoming the most crowded and fiercely contested category in the car industry, the Nissan Qashqai is the undoubted king but hot on its heels is the Peugeot 3008, Kia Sportage, Honda CRV and Suzuki S-Cross. The Mitsubishi ASX should not be overlooked as it offers value, refinement and if you are after a four wheel drive car possibly the best value option on the Scheme. The ASX offers an excellent driving position and it is very comfortable and roomy for front and rear passengers also the 442 litre boot is the largest in class but the interior design and quality falls short of the market leading Qashqai. 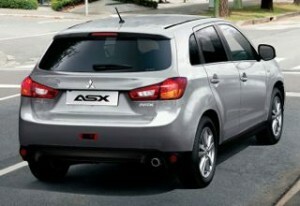 The ASX is available in a single trim line, Juro. 18 inch Alloy wheels, keyless operation start/stop button, cruise control, auto lights and wipers, privacy glass, LED daytime running lights, rear view camera, climate control, DAB radio, Smartphone link display (Apple Carplay/Android Auto) from the 7 inch touchscreen, heated front seats and electric heated folding door mirrors. 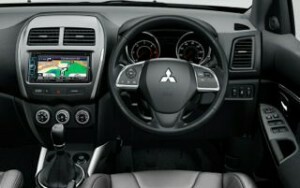 The single engine choice is a 1.6 litre petrol engine (2wd only) producing 117 brake horse power which will propel the ASX to 62 miles per hour in 11.5 seconds and offers a combined claimed economy of 41.5 miles per gallon from the five speed manual gearbox, and is perfect for lower mileage users. Mitsubishi are pushing customers towards the Eclipse Cross and as a result there is only one ASX on the Scheme, The ASX is due to be replaced given its age but these are no announcements from Mitsubishi on its replacement.